At least I went still 😀 I entered the UP Malcolm Hall at 1:30PM. I saw Gee and Rommel, my PBBFG mates LOL. Â I was able to catch Marck Rimorim aka Marocharim talk about Political Blogging in the Philippines. He gave a very nice talk wherein he emphasized on remembering the past, stating the present, planning for the future and going back to the past in writing blog entries related to the different issues in the Philippines. 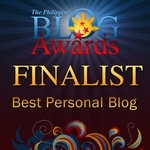 Good news to newbie bloggers out there! Our friends from UP College of Law and Digital Filipino will once again organize the biggest Philippine Blogging Summit if the year! 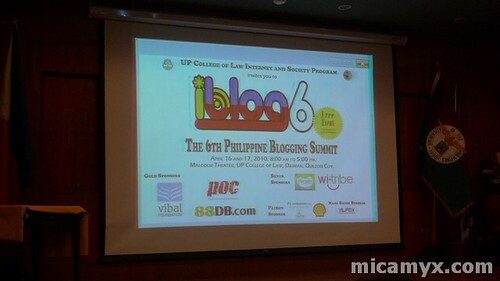 Now on it’s sixth year, iBlog6 is set to take place on April 16 and 17 at the UP Malcolm Theatre, UP College of Law, UP Diliman, Quezon City. I started attending the blogging summit in 2007 and through this educational event, I met a lot of bloggers who eventually became my friends. If you want to meet your favorite blogger or learn more about blogging, I will push you to register and attend. Besides, the REGISTRATION IS FREE! 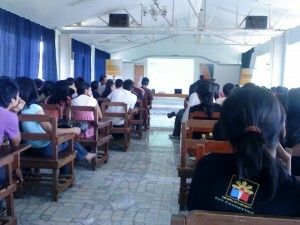 Three weeks ago, Ms. Janette Toral informed me about the invitation she received from Bitstop and Urdaneta City University to be the speaker in their Search Engine Optimization and Marketing workshop on February 27. Honestly, I was happy upon hearing it and I immediately said yes when she asked me to go with her. We left at Five Star Cubao Station at 5am of February 26. Ms. Janette was my temporary older sister that day hehe 😀 We had our fast breakfast at Siesta, Tarlac. We slept during the duration of the trip. Ms. Janette went to Urdaneta City University and I went straight home.